"Apart from the rather unimaginative slipcases and a couple of new to CD tracks, there are two audiences for these reissues; people who missed getting them on CD when they first came out, and those looking for an upgrade to the sound quality over the original CD versions. 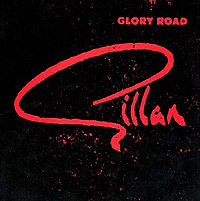 I took my favourite tracks from Glory Road to use for comparison, but at the end of zipping back and forth my advice would be to do what I did after it all and go back to the vinyl and a decent deck. You'll need to turn the volume dial about 45 degrees to match the levels on the new CDs, but the results are much less harsh and leave the edge to the actual performances rather than the volume. The new CDs don't even seem to be a significant improvement over the Virgin editions; the production quirks on the records are still there and all that's really changed much is the volume level. Of course this is all subjective and depends on what you want from your speakers, so I'd suggest if you have the original CDs, then try one of the new ones and see if it works for you before splashing out on the lot. There is also the unknown factor of the Repertoire versions which are apparently remastered by a different engineer, so you'll need to figure that into the equation once someone has been able to compare the two. For those people who just want to get the material to listen to, then ignore all the nit-picking and treat yourself. 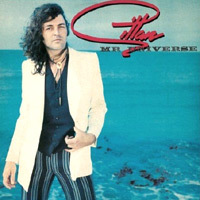 Every album has at least a few crucial Gillan tracks that still give as much pleasure as they did over twenty five years ago and at the end of the day that's what's it's really all about!"